As required by European and Italian norm about health and safety in the workplace (Leg. D. 81/08), laboratory workers have to follow specific training and receive adequate information about risks and practice to prevent injuries. To access these labs, workers must to attend several on-line courses about safety, pass the tests, ask for access authorization to the lab manager. Starting from “HEALTH AND SAFETY IN THE WORKPLACE” section of the Department website , download the form “SCHEDA DI ACCESSO AI CORSI” that corresponds to the lab you want to access; fill and sign it. Portal access with SSO (Single Sign On), courses access with password relative to each course (in the form). The Unipd e-learning service will supply MOODLE platform access login and password. 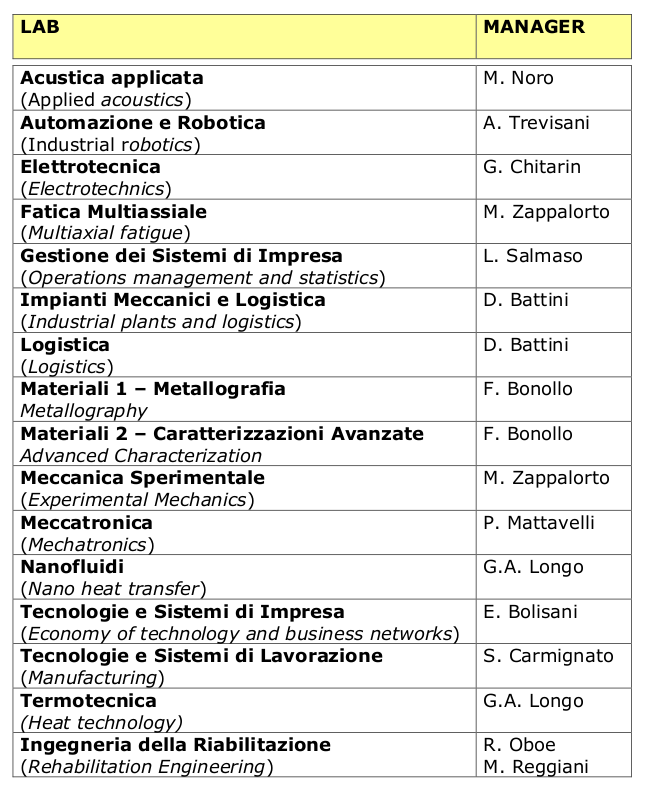 Attend on-line courses selected in the form “Scheda di accesso ai corsi”, pass the tests and print the certificates. Return to the Department safety website , download the form for the authorization request “LAB ACCESS AUTHORIZATION FORM”, print, fill and sign it. Make a copy of the filled form. Go to Lab Manager with all the documents (Scheda di accesso ai Corsi – Certificates – Authorization form) and give them to him/her. Collect the sign of the Lab Manager on your own copy of the Authorization form (to be exhibited if required).